Is this the return of 100% mortgages? In our latest mortgage round-up, finance journalist Ruth Jackson looks at the return of 100% mortgages, the latest deals for first-time buyers and falling long-term mortgage rates and the best rates around at the moment. You probably heard the recent news that Britain’s biggest mortgage lender, Lloyds, has launched a 100% mortgage for the first time in over a decade. The news has led to plenty of headlines announcing that irresponsible lending is back after the financial crisis. In actual fact this 100% mortgage is nothing like the 100%-110% mortgages offered by some lenders before 2008. The key difference is that the Lloyds ‘Lend a Hand’ deal does require a deposit, it just doesn’t come from the mortgage applicant. Instead, a parent, grandparent or close relative can put up to 10% of the value of the property in question into a linked savings account to make up the deposit. So – in fact – there continues to be no true 100% mortgages on the market where no deposit is required. With the Lend a Hand mortgage if you are wanting to buy a £200,000 property, you’d need a relative prepared to put £20,000 into a Lloyds savings account. Then the bank would consider lending you £200,000 under the ‘Lend a Hand’ mortgage at a rate of 2.99% for three years. The linked savings account pays 2.5% interest at the end of the three years. During that time the money cannot be withdrawn from the account. Sounds great, what’s the problem? If your relative could gift you that 20% deposit you could cut your rate to 1.89% with Coventry Building Society. Saving you £2,500 in interest over three years on a £180,000 mortgage. If you don’t have a wealthy family member prepared to help you onto the housing ladder then read our guide on how to save for a deposit. Want to make sure you get the very best mortgage deal? Get fee-free, expert advice from our partners at London & Country today. If you do have a small deposit then there is good news. Interest rates are falling on mortgages for people with a 5% deposit. The average two-year fixed rate mortgage has dropped by more than half a percent over the past six months. Rates on 95% loan-to-value (LTV) deals has fallen from 3.95% to 3.41%. Building societies are offering the best deals at 3.35% for a two-year fix with 95% LTV. Read our guide to getting your first mortgage. If you’re settled in your home and looking for interest rate certainty then take a look at a 10-year fix. The average interest rate on these mortgages has fallen drastically over the past five years. Dropping from 4.61% on average to 3.05%, according to figures from Moneyfacts. Coventry Building Society will lend up to 85% of your home’s value on a 10-year fixed rate of 2.55%. That means your mortgage repayments won’t be affected by interest rate movements during a time when everyone is expecting market turbulence thanks to Brexit. Find out our view on Brexit and the housing market. 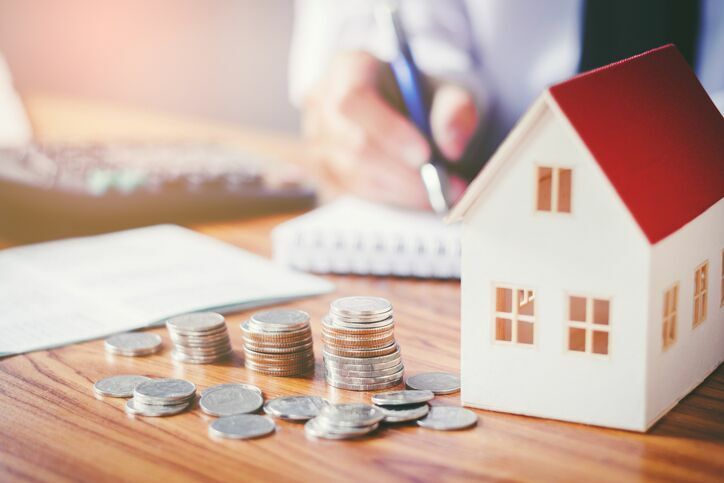 “In times of uncertainty, a decade-long fixed mortgage could be a safe-haven for borrowers looking to secure their mortgage payments over the longer-term,” says Darren Cook, finance expert at Moneyfacts. The downside to a lengthy fix? Be sure you won’t want to move over the next decade. “Borrowers must be aware that 10-year fixed rate mortgages are often accompanied by hefty redemption penalties,” adds Cook. On a ten-year deal these are typically 5% of the total sum borrowed for the first two years. Then it falls to 3% for the remainder of the deal.